"Look Deep into My Eyes, Dig Deeper into the Windows of my Soul, Behold for There You Shall Find My Heart." This make up style is by far the most intense eye makeup that you can put on, or at least that is what I think, but it is also my favorite. Smokey eyes is a make-up technique that have been trendy for quite awhile and there are signs that this style will keep being popular. The key for achieving a perfect Smokey eye is using the proper blending of colors. You need to ensure that all the colors used are flawlessly blended together. BLEND LIKE YOUR LIFE DEPENDED ON IT! With this Technique it is also important to pair dark colors with light based colors. Green hue with a peach base. Whether you attend a party or a fancy gala, creating a Smokey eye can add drama and sophisticated to your look. The picture above is the more intense Smokey eye, mostly worn in the evenings. Perfecting the makeup technique is not limited to makeup artists or even colors alone. But everyone can learn the techniques with a little know-how and the correct tools. Here are two different methods that you can use. First step is to choose your colors. Of course, any color can be used, but you will need a few shades of a similar hue. The classic Smokey eye look is created by using gray or black. You can also choose brown or bronze, other commonly used colors for this makeup technique. 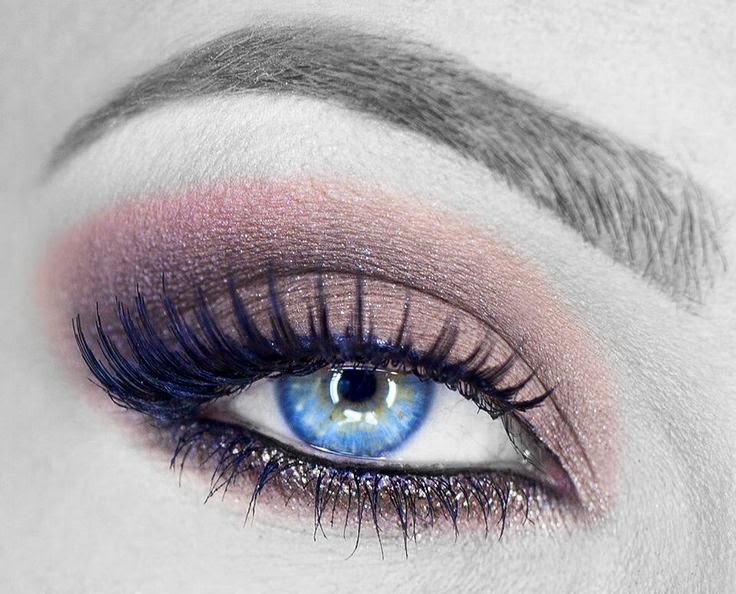 If you have green eyes the best combination of colors for your makeup is plum and gray. For blue eyes you can enhance your look if you use copper or gold. Brown eyes match well shades of gray or navy. You may choose three shades of each color, a dark color, a medium base color, and a light and creamy color. It is best to avoid those colors that are too bright or too dark. You can apply the colors using loose powders in order to better blend the shades. Use a pitch black eyeliner to accentuate your eye makeup. Make sure to use high quality makeup brushes that are rounded at the top. Prep your lids with an eye shadow primer or a concealer before applying the smoky eye. Fix any mistakes with a large fluffy brush. For a classy Smokey eye look use an eye shadow brush to apply a highlighter that is the lightest of the three shades on both your lids and inside the corner of your eyelid. Apply a medium shade on your entire eyelid. Make sure to blend the shade at the inside corners in order to not leave harsh divide between the two shades. Add the darkest shade by beginning at the outside corner of your eyes. The point at the upper edge of the lash line should be the darkest part of your makeup. Do not apply the shadow too far in if you want to keep your eyes looking bright and open. For a more dramatic look you can sweep the dark shadow towards the end of your eyebrow. Also sweep a little dark shadow onto the lower lid, under your eye. Use your brush to blend all the shades together by starting with the lightest colors. In the end add your eyeliner. Draw a tick line across the top of the lash line if you want a smudgy look. For a more dramatic effect you may tightline your eyes by using the eyeliner to draw a line under the upper lashes and above the lower lashes. is a daytime makeup, lessening the intense colors, but still blending the shades. Browns are very good as day time Smokey eyes, but depending on your eye colors, you could also use lighter blues and pinks, you just have to tone them down.